Add your logo to their daily commute! 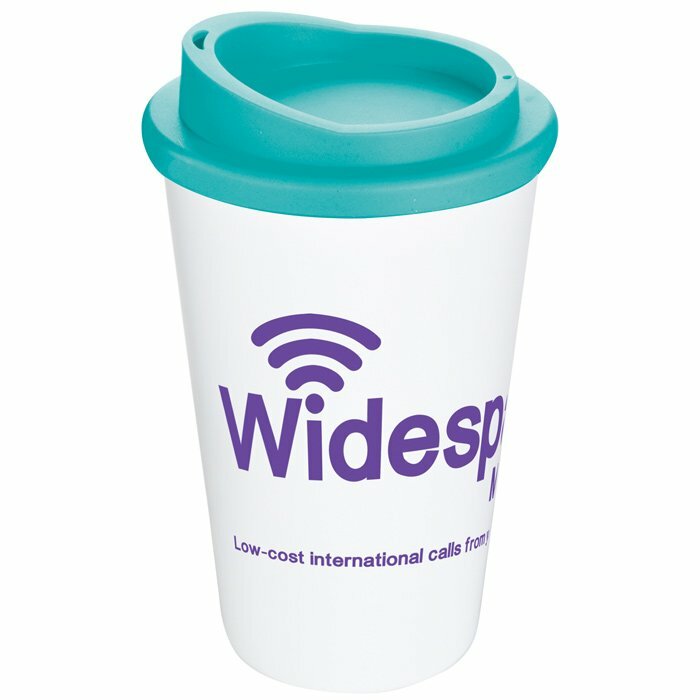 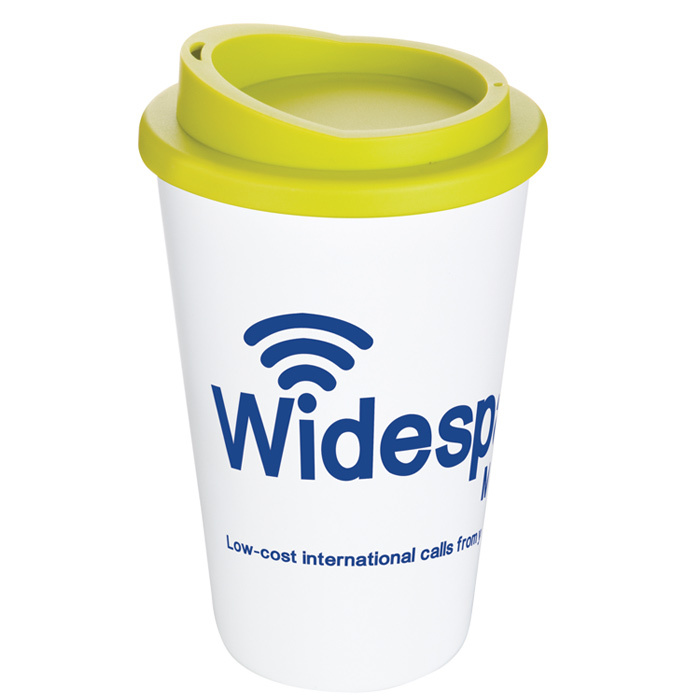 Double-walled white travel mug with a coloured screw top lid designed to look just like a coffee shop take-away cup. Fantastic promotional potential with a superb choice of coloured screw top lids to match or contrast your logo. Ideal for reducing plastic cup waste in the office and ensuring your brand is on every desktop! Option to add a silicone grip which will be printed with your logo. Americano Mugs are UK Made, BPA free, dishwasher and microwave safe. Price includes a 1 colour wrap around print to the white mug. Dimensions: 155 x 95mm dia. Print area: 235 x 73mm.